It all started with kids’ vision to make a difference. They expressed their desire to save Mother Earth in the hopes of creating a world that would benefit the future generation. And that change journeyed to the typhoon Yolanda-stricken Tacloban. A group of empowered Filipino kids went to Tacloban to give 2,000 recycled classroom chairs. This is the product of their first-ever mission dubbed, Project RecyClass. By collecting recycled packs, kids will bring to other children of the hard-hit province new hope. With these new chairs, empowered kids can help other children to get back to school and learn to rise again. Launched in 2013, Project RecyClass was a nationwide recycling drive supported by the Department of Education (DepEd). 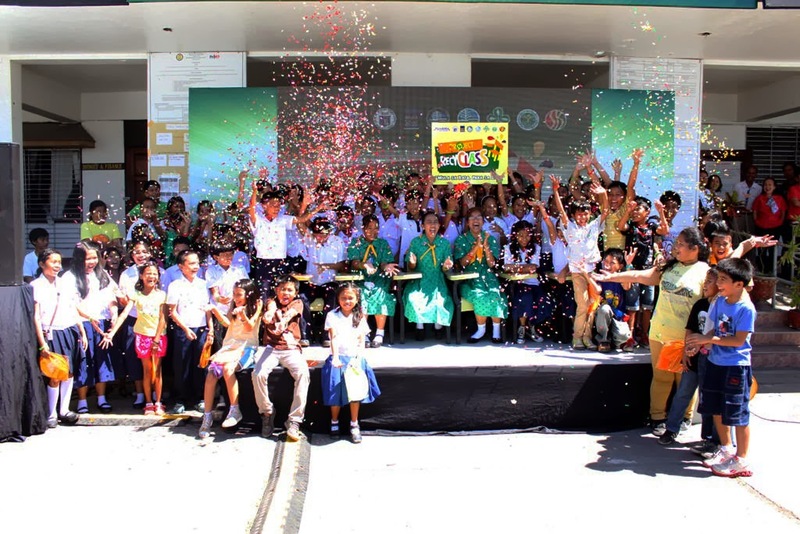 It was born out of a survey conducted by Tang, the leading fruit powdered beverage brand in the Philippines that revealed saving the environment is the issue closest to kids’ hearts. The survey, done in the second quarter of 2013, explored the aspirations of the more than 95,000 young members of the Tang Galing Club. This is an online interactive community that promotes kid empowerment; helping inspire Filipino children to go and contribute positive change for the betterment of the society. “This project was able to prove that kids can actually uplift lives, if only empowered to do so. Now the road of empowerment leads us to Tacloban. We are moved to witness how a kid-led movement is about to change lives by providing hope to the future of our country—our children,” said Alex Tacderas, Mondelez Philippines Category Lead for Powdered Beverages. By the kids and for the kids, Project RecyClass, also accomplished in partnership with the Girl Scouts of the Philippines, was able to collect a total of 11.6 million pieces of recyclable foil packs from 50 barangays across the country. These were then used to make 10,000 sturdy plastic school chairs (via a technology available in the Philippines), aiming to supplement the need for them in classrooms. “The chairs that will be donated will help get kids back to school, helping create a sense of normalcy in their daily lives after Super Typhoon Yolanda. The chairs will also create a difference in the way students will sit in class, replacing broken and potentially hazardous chairs,” Tacderas added. 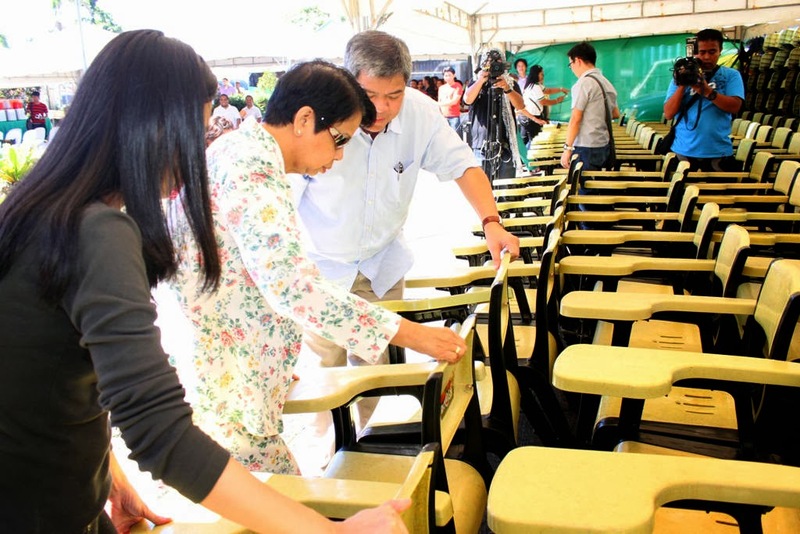 With 2,000 classroom chairs allocated to Tacloban, 8,000 more will be donated to different beneficiary schools across the country in partnership with the DepEd’s Adopt-a-school Program. Last year, Tang donated 50 chairs to Sampaloc Site II Elementary School in Paranaque City, an adopted school of Mondelez Philippines. This year, the brand is scheduled to turnover more chairs to at least 100 other public school beneficiaries. “Project RecyClass has truly been one of the largest kid movements of its kind in the Philippines. And we are starting the year with its promise—empowering kids to make a difference that can benefit the generations to come,” Tacderas ends. For more information about the Tang Galing Club and Project Recyclass, please visit www.TangGalingClub.com and its Facebook account, www.facebook.com/TangPhilippines.